A US judge has granted asylum to Singaporean blogger Amos Yee, ruling that the 18-year-old qualified as a political refugee. Yee has been jailed twice for critical comments on religion and former leader Lee Kuan Yew. Chicago judge Samuel Cole issued a 13-page ruling on Friday qualifying teenage Singaporean blogger Amos Yee as a political refugee, granting him asylum in the US. Yee's previous prosecution and imprisonment in Singapore "constitute(s) persecution on account of Yee's political opinions," Cole said. "The evidence presented at the hearing demonstrates Singapore's prosecution of Yee was a pretext to silence his political opinions critical of the Singapore government." Yee had been in US immigration detention since last December, having been held by US authorities since arriving at Chicago's O'Hare International Airport. The teenage blogger had pleaded asylum, saying he had suffered persecution in native Singapore for his political opinions. Although the US Department of Homeland Security had initially opposed Yee's asylum application, the 18-year-old was eligible for immediate release following Cole's ruling, and could be released as early as Monday. His attorney Sandra Grossman welcomed the ruling, saying that the judge's decision supported the rights of individuals to criticize their governments. "The right to free speech is sacred, even when such speech is considered offensive," she said. "The decision timely underscores the vital need for an independent judiciary in a functioning democracy." Authorities in the Southeast Asian city-state had twice detained and jailed Yee for comments the teenager had made online. In 2015, he was jailed for four weeks for comments he made about former Singapore premier Lee Kuan Yew. Lee had recently passed away and the nation was mourning. While outspoken of criticism of political leaders is discouraged in Singapore, the prosecution's stated reason for punishing Yee centered around his criticism of religions. Cole said that testimony from the case showed that the Singaporean government's "real purpose was to stifle Yee's political speech," adding that the prison sentence was "unusually long and harsh" especially for his age. Last September Yee pleaded guilty to six counts of deliberately posting comments online that were critical of Christianity and Islam. He was sentenced to six weeks in prison. 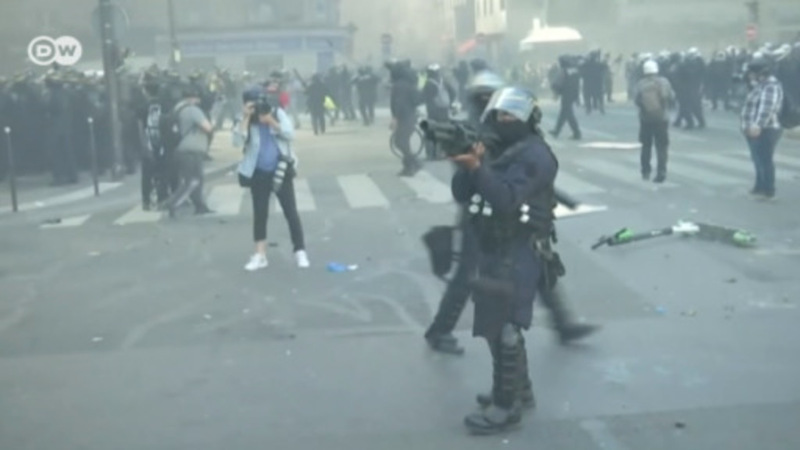 Both cases have been closely scrutinized by rights groups, as well as the United Nations, who fear that free speech in the city-state is being drastically limited and combated. "Singapore excels at creating a pressure cooker environment for dissidents and free thinkers who dare challenge the political, economic and social diktats from the ruling People's Action Party," Phil Robertson, deputy director of the US-based rights group Human Rights Watch, said in a statement. "It's clear the Singapore government saw Amos Yee as the proverbial nail sticking up that had to be hammered down." US Secretary of State Rex Tillerson traveled to Beijing to pile pressure on China over the North Korean crisis. The US believes China can do a lot more to curb Pyongyang's nuclear ambitions. Even after multiple rounds of sanctions, Pyongyang is continuing to provoke the international community with weapons testing. China and the US face bad options, and each other, in creating a united front.